Dedicated to Harold and Debi Metcalfe for sharing their beloved horse Idaho and her story with the rest of us in the equine world who love and treasure our horses, this never before published story penned by Angela (Kirby) Beck, NetPosse Executive Coordinator, is being released publicly as a tribute to Idaho now that her days here on earth have come to an end and she has crossed the Rainbow Bridge. While the editors were gracious enough to work with Angela on finalizing the story for publication, it never made it to print as the agreement would have stripped the Metcalfes of their rights to the Story of Idaho. Angela agreed to withdraw the submission in order to protect future publications and possible productions of the story of this horse that truly inspired an international mission. Much of this story was relayed to Angela while riding horseback with Debi in the foothills of the Blue Ridge Mountains in 2006. The significance that Debi was able to tell of Idaho’s theft and recovery while sitting astride the mare was not lost on Angela. One fact that Angela had not heard before was that the Metcalfes had agreed to search for Idaho for one year – 52 weeks – this is poignant. Whether reading this story for the first time or the hundredth, Idaho’s journey is one that tugs at the heartstrings because it didn’t end at 51 weeks with her recovery. Idaho’s story is timeless. 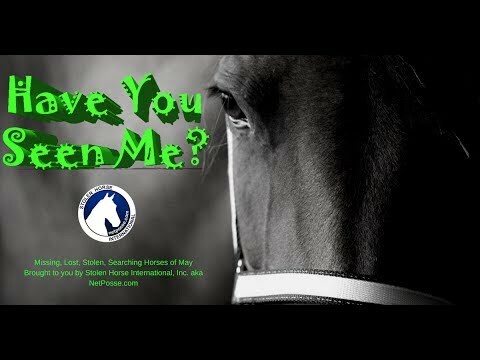 Idaho’s story brought a voice to every stolen and missing horse that wants to find its way home! We hope you enjoy this version of Idaho’s story as much as Angela enjoyed writing it. We can’t say the Metcalfes enjoyed living every moment, but they are proud of the legacy established by Idaho’s theft on September 23, 1997 and recovery on September 17, 1998. Sadly, on August 11, 2016, Idaho was helped over the Rainbow Bridge by her beloved family. At 31 years old and battling cancer, the Metcalfes knew it was time to let go of this special mare. However, her legacy will live on! 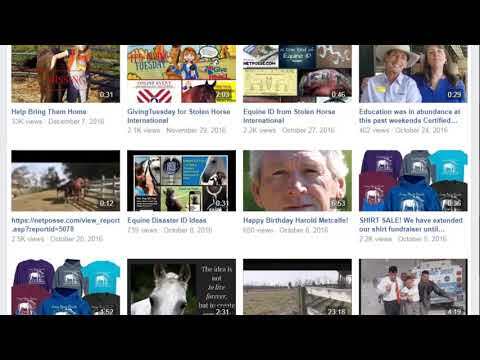 Please continue to support NetPosse in Idaho's honor so more horses can come home! “What an ugly horse!” Debi Metcalfe considerately kept that thought to herself when she got an eyeful of her husband Harold’s new mare. To add to the ugly, the mare was intolerable. When approached, she sidestepped farther away and laid her ears back, daring the challenger to come closer. After boarding the horse for several months, Debi was dismayed when Harold announced that he was actually buying her. The mare’s nasty disposition and unappealing color completely put Debi off, so she was less than happy at Harold’s decision. She had expected the mare to be gone from the farm soon enough. On the other hand, Harold was counting on his almost-new bride to love him enough to let him keep her. And, of course, he was right. Debi just couldn’t tell him no even after almost two years of marriage. Debi hadn’t expected when she and Harold were married in 1987 that she would soon have to share Harold’s affection with another female … and certainly not a horse. And then she couldn’t help but wonder: Why THIS one? At 15 hands, the odd, tri-colored, spotted racking horse mare, with her bi-lateral four-beat gait, was intended to be Harold’s comfortable trail horse. After observing the horse’s quirky ways, Debi was unsure about this new addition to the family, but there was no doubt she would definitely be her husband’s horse. Debi had known immediately she wanted nothing to do with the crazy animal. Harold, however, had seen something in the four-year-old mare that Debi didn’t, and he was determined to cultivate a relationship with the one called Idaho. Harold had an insightful eye after years of teaching physical education classes at the local high school. Over those years, he had learned to key in on the hurting souls of the children he often taught. Observing Idaho, he knew she was no different. He seemed to have the ability to look into the mare’s soul, and he found a horse that was tough on the outside but wounded on the inside. She was misunderstood and simply needed someone to listen and understand in order to reach her full potential. As the days went by, Debi watched from a distance while Harold patiently spoke to the mare, and Idaho measured the man before her. Debi observed in great wonder at the rhythmic dance the man and horse developed – almost a type of courtship. As Harold quietly stood in the center of the pen, Idaho would circle him exactly five times before cautiously stretching her nose toward the six-foot, two-inch tall man. Soon afterward, picking up one foot at a time, the mare would extend her body until she stood relaxed and within easy reach. The dance progressed over the years as the relationship between Idaho and Harold deepened. Debi loved nothing more than to study her husband astride Idaho, while they gaited as one, their movement fluid and graceful. A romantic at heart, Debi had grown up dreaming of meeting her knight in shining armor. The image that gripped her, as Harold sat regally atop the mostly white horse, her brown markings fading with time, was that of her girlhood fantasy. Without even realizing it, Debi was warming up to Idaho. Debi and Harold’s family, which included their daughter Cory and son Casey, along with an exchange student, Vania, enjoyed trailriding horses with friends. They often spent weekends in the mountains, soaking up the peace and quiet of the beautiful countryside. After one such weekend, the Metcalfes returned to their quiet farm in Cleveland County, North Carolina at the foothills of the Blue Ridge Mountains. There was nothing indicating that on the following Friday their lives would be turned inside out and changed forever. Nearing the end of September, the weather was cool and the fairgrounds were hopping with activity. On that fateful fall Friday, Debi, Harold, and their children attended the Cleveland County Fair – an annual family tradition. After a late night at the fair, the Metcalfe’s left the big lights and noise behind for a good night’s sleep at home in the country. The next morning, Debi was to discover just how much Idaho had come to mean to Harold and inevitably to her. Harold rambled on while Debi began wrapping her thoughts around what he was saying. He’d searched the pasture on foot. The other horses were there. 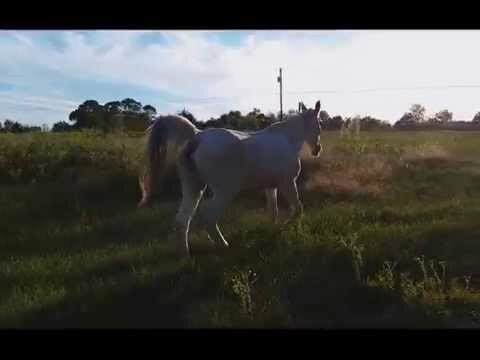 A horse didn’t wander off and leave the herd unless she was hurt or someone made her. Harold couldn’t rationalize why Idaho wasn’t with them, and his worry quickly escalated. While Harold was normally the calm and rational one in their marriage, Debi immediately assumed that role as her beloved husband’s concern washed over her. Leaving Debi to call neighbors and notify them that Idaho was missing, Harold returned to saddle up one of their Tennessee Walking horses and continue the search on horseback. It wasn’t long before the truth was uncovered, and when it was, it brought the Metcalfe’s to their knees in despair and grief. While walking the fence along the dirt road running between the Metcalfe’s home and pasture, Debi discovered, hidden among some overgrowth, a section of barbed wire had been cut. Frantically, she called to Harold. He hurried over on his horse and jumped off. From the opening in the fence, they were able to trace Idaho’s steps to the road where they found tire tracks. It was apparent that the spotted racking horse mare hadn’t wandered off on her own. Their next call was to local law enforcement to speak the unthinkable – Idaho had been stolen. Like many horse owners, Debi and Harold believed that once the sheriff’s department had the details and they filed a report, Idaho would be found in a short period of time. Unfortunately, horse theft is not part of most police training academies, so the deputies were as lost as the Metcalfes about what to do next. While the Metcalfes were having a hard time developing rational thoughts, there was one reality that couldn’t escape them. Idaho wouldn’t be found wandering down the road a few miles from home. The evidence of that was in the tire tracks and the cut fence. Trying to imagine the fear and confusion that Idaho must be feeling, Debi began to develop a plan of action. She knew that Idaho depended on her family. And Debi also couldn’t stand by and let her husband’s world collapse around him. Debi kicked her energy and emotions into gear and became determined to find Idaho. Turning to the relatively new world of the Internet, Debi wasted no time learning how to navigate this advancement in technology. Once she logged on, her search expanded from a few-mile radius of their home to homes thousands of miles away. But that was 1997, and the Internet was still wet behind the ears. There were no Internet resources about horse theft to rely on for help. Horse theft existed, but it was a silent transgression in the equine world. People didn’t talk about it much, because it was believed to be only a slim possibility. And if it did happen to that one unfortunate horse owner, there was little reason to report the theft, as there was an even smaller chance of the horse being recovered. Horse owners were just expected to move on and forget about the animal. But try telling that to Debi. 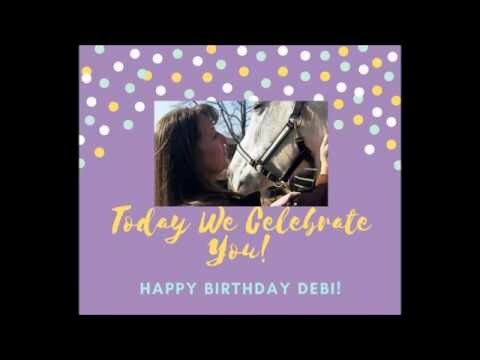 While the 12-year-old horse had worked her way into Debi’s heart over the years, this woman was driven more by the pain of loving a heartbroken man. Harold’s grief pushed her onward even on days when she was ready to give up. Debi refused to listen to those who told her that their horse was gone and to abandon the search. Debi gained momentum by working through her fears, frustration, and mistrust. Stumbling through a learning curve of technology, Debi spent countless hours in front of the computer. She had to be reminded to eat and sleep. When not sending or receiving emails, she felt her hope diminish and doubt set it. Refusing to let that happen, she wore herself into the ground searching for Idaho. At the same time, she had to function as a wife and a mother. For 51 weeks Debi spent every free moment sending e-mails, posting flyers, talking to strangers. Without realizing it, Debi was creating an alliance of concerned horse owners and other victims. These people rallied behind Debi and gave her renewed strength when hers waned. Faced with a complete loss of trust after something so precious had been ripped from her family, Debi found friends in strangers she had never met. These people help restore her faith that had been so crippled from Idaho’s theft. Traveling hundreds of miles that year to visit horse auctions or speak to people who might have encountered Idaho, the Metcalfes persisted in the search when friends and family members told them to give up. With great courage the Metcalfes delved into a criminal world where few would dare to trespass. 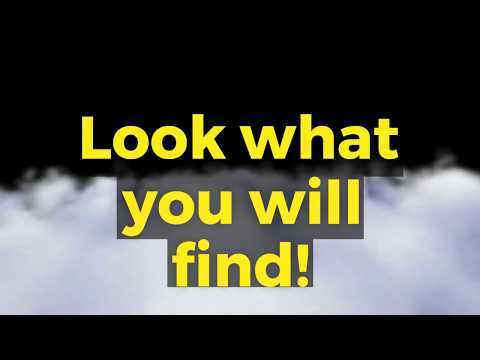 Shady thieves and traders quickly learned who Debi and Harold were and why they were there. These unassuming schoolteachers from a small town faced drug addicts and unscrupulous criminals without batting an eye. With Harold as her quiet pillar of strength, Debi discovered through their journey a power within herself that she never knew existed – and it was all because of a horse she had once thought of as an ugly duckling. Almost a year after Idaho’s theft, the Metcalfe’s determination and stubbornness was rewarded. Shortly after the death of Debi’s mother, an impromptu trip, with no actual destination, led the couple through winding roads of the Blue Ridge Mountains before they found themselves crossing the state line into Tennessee. It was at a small convenience store in the middle of Cleveland County, Tennessee, that Idaho’s story would take another dramatic turn. The Metcalfes, lost and looking for directions, taped their last flyer of Idaho in the store’s glass door. Fatefully a few days later, a woman's path crossed with Debi and Harold's in that same little off-the-map town. She, too, stopped at the store to ask directions when she saw that black and white flyer taped to the door. According to the tipster, she knew who owned the horse pictured on the Metcalfe’s flyer! The tip from that flyer led to Idaho’s recovery. The woman knew the mare had been purchased by a family in Tennessee whose young girl called her Lucy. Throughout the summer, Lucy had been shown successfully in gaited horse classes. The woman providing the tip had seen the horse at a local event. The next step was for the Metcalfes to identify their horse from a video of Lucy in the show ring. When the spotted racking horse appeared on the screen, a grown man collapsed to his knees as a year of agonizing worry and searching culminated in that one moment. After being interviewed by local authorities and providing proof of the horse that was stolen almost a year before, a meeting was arranged for Harold and Debi to pick up Idaho and take her home. Debi stood anxiously with her husband as the little girl’s show horse was led across a church parking lot by a sheriff’s deputy. The mare’s once bouncing stride was a slow, dispirited pace. Her head and tail hung low. This was not their Idaho but a broken horse. Over the years, Debi had come to admire Idaho’s attitude and view the mare as a beautiful creature. But the horse she saw that day on the parking lot was not the graceful creature who had danced with Harold and proudly carried him. Again, Harold’s special relationship with the horse took on a life of its own. One familiar whistle from Harold brought the mare to full attention as she sought him out. Ears perked forward, tail lifted and feet began tapping as her once lifeless eyes rested on the one man she had grown to love and knew she could trust. He had come for her and in his presence, Idaho knew she was safe again. At that moment, Debi saw her husband begin to heal, and she knew that once Idaho was home, they could resume their life. Although Debi can capably convey her family’s financial, physical, and emotional journey during the search for Idaho, it is impossible to guess what Idaho endured the first six months after she was loaded into a trailer and hauled away from her pasture. The Metcalfes did learn that Idaho had been sold more than once at an auction in Tennessee even after Debi had spoken to the owner shortly after the mare's theft and had faxed flyers to the auction house. Sadly, this is part of the seedy underground network of thieves who pass horses quickly from one sale barn to another and how horses can disappear once stolen. Still, while neither the Metcalfes nor anyone else will ever truly know all that Idaho suffered, she did survive. The events during that time took their toll, however. The Metcalfes were able to gather together pieces of information about Idaho’s ordeal and learned that she had suffered neglect, abuse, starvation, and sickness before being unknowingly rescued by a family with a little girl who came to love the horse she called Lucy. Had it not been for that little girl and her family, Idaho’s fate still might be uncertain, as her spirit was beginning to break. In one of the original accounts by Debi regarding Idaho’s return to the family, she recalls: “We took her on our annual weekend mountain trip the next day with our horse club. Ironically, this trip in September of "97" was the last time my husband rode his trusty mount. One year later it was the first time he rode her again. We were so proud to have her with us. She was in good shape. She was thinner than when she left but otherwise healthy. But Idaho’s story doesn’t end there, and while the Metcalfes felt terrible about tearing their horse from a family that had been good to her and had grown to love her, they were eager to return to their old life. Harold and Debi always had full intentions of settling back into their life as it had been prior to September 26, 1997, but their lives had forever changed. What they previously knew as normal was a new normal. Once Idaho was home, the Metcalfes had to endure the trial of Idaho’s thief, who had been arrested. They also had to answer all the e-mails from well-wishers and curious horse owners Debi had connected with during her search for Idaho. More importantly, Debi began to reply to e-mails from victims of horse theft all over the country. These people, having heard about the Metcalfe’s success in finding Idaho, wanted Debi to help them. Her unexpected quest for Idaho resulted in breaking the silence about horse theft and tearing down barriers so more horses could be recovered. There were so many people who needed her help. Who was she to say no? So Debi did the only thing she felt she could. She quit her job and established Stolen Horse International – all because of one horse. 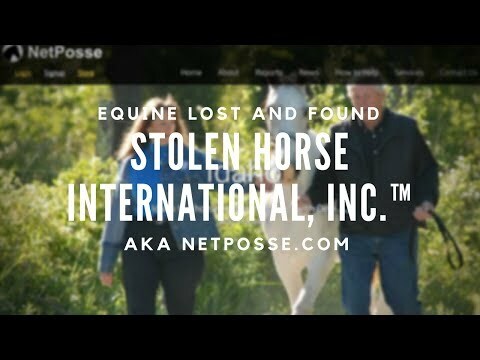 Over the last decade, Stolen Horse International, now a nonprofit, has assisted in the recovery of hundreds of missing and stolen horses through its volunteer network known as NetPosse while preventing countless other horses from becoming missing and stolen through its public education programs and Internet resources. Although no official statistics are available, NetPosse works only a percentage of cases out the estimated tens of thousands of stolen horse each year – many of which are never reported to authorities. After establishing NetPosse, Debi created an alert system – the horse community’s predecessor to the Amber Alert. Originally known as the “Idaho Alert,” a horse’s information is distributed quickly via the Internet to thousands of contacts and list groups in the U.S. and beyond. Time is of the essence in these situations since in a matter of days or even hours, a horse can be sold at multiple auctions, shipped to another state or possibly transported out of the country. This organization, funded through donations, was motivated by this courageous horse and her dedicated family. It is now the only nonprofit of its kind actively promoting horse theft education, prevention, and recovery. For eighteen years after her recovery, Idaho continued to graze in the very pasture from which she was stolen. Occasionally, she favored one of her legs, a sign of the abuse she suffered so many years before. Over the course of time, Harold would also sometimes observe shadows of the psychological scars carried in Idaho’s soul. And, though Idaho continued to age, she never lost her spirit. While the Metcalfes know it was Idaho’s brave spirit that brought her through the yearlong ordeal and called to them over the miles and days of their search for her, they also knew that time would take its toll. Finally, on August 11, 2016, Idaho was assisted in crossing the Rainbow Bridge. Here she is reunited with all those that have gone before her … the stolen and missing horses that never made it home. The Metcalfes couldn’t give up on Idaho because to them she wasn’t just a horse. 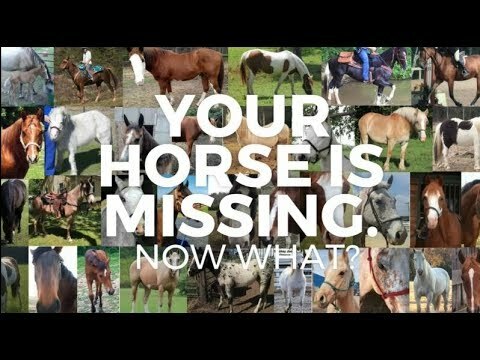 Idaho is a symbol of hope for every stolen or missing horse that has yet to be recovered. Your journey will not be in vain. Your purpose will not be forgotten. Your legend will live on. Your spirit will be forever with us. It’s not often that a simple trail horse can inspire an international quest, but Idaho did. (Left) The author riding Idaho during her 2006 trip to NetPosse headquarters in North Carolina. (Right) One of the last pictures of the author with Idaho in May 2014. ©2016 Angela Beck and Stolen Horse International, Inc. All Rights Reserved. Not to be redistributed in whole or in part without written consent. Any use must include original author's name and organization's name and Web site. Please share how Idaho and NetPosse have inspired you or given you hope ..
Thief River Falls, Minn., teen steals horse trailer and airplane?